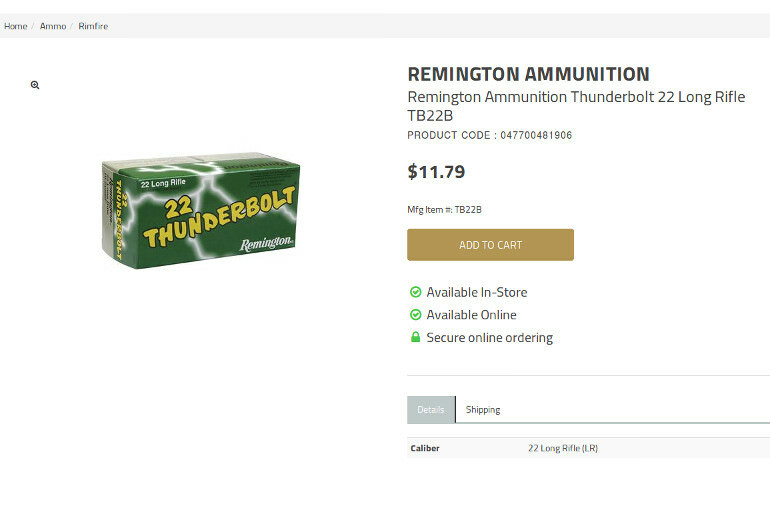 Remington Thunderbolt .22 LR ammunition is on sale at Locked & Loaded In Pana Illinois and online at their website. Bricks of 500 are priced at $11.79, which is 2.36 cents per cartridge. The great .22 ammunition bubble, from late 2012 to the middle of 2017, is gone. You will know that the bubble is close to the bottom when you see .22 LR on sale for below 4 cents per round. At the lowest, we might see .22 cartridges below $10 for 500. Federal American Eagle is as low as 3.8 cents per round, the Federal champion 510 round is just under 4 cents a round, and there are several offerings of Aquila Super Extra Standard Velocity from 3.7 cents to 4 cents a round. $11.79 for a brick of Remington .22 is not $10, but it is very close. Lock & Loaded in Pana was able to purchase three million rounds of Remington ammunition at a very good price. They are passing it on to their customers. Tyler Sims, the owner has a philosophy about treating customers well. He believes that if customers are treated well, they will come back. 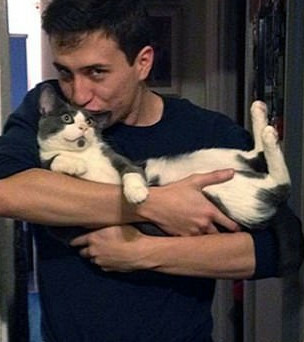 His business, established five years ago, is booming. With deals like this, it is easy to see why. When I talked to Locked & Loaded, they had sold half of the three million rounds in two days. They are making sure they keep some of the deal for local customers as well as for people on line. Sales tax in Pana, Illinois, is 7.25%. Shipping cost for a few thousand rounds comes to about the same. That increases the cost to 2.5 cents per round, still a very good price. The great .22 bubble lasted longer than I thought, but like all bubbles it ended. Quite a few commented online that prices would always remain at high levels, because either the manufacturers were conspiring to keep high profit margins, or because the government was conspiring to reduce supply. In reality, neither was happening. Demand spiked because of President Obama and fear of legislation. There are close to 100 million .22 rimfire firearms in the United States. There may be 50 million .22 rimfire owners. It only takes a small percentage of those to decide they want to have an extra thousand rounds (just in case) to spike demand beyond production. My best estimate is that production has increased about 20% since 2013. About 5 billion rounds of .22 LR are being produced for the U.S. market each year. Many millions of gun owners now have a reasonable stockpile of .22 ammunition. That is a good thing. With a little luck, I will be doing an article on the shelf life of .22 rimfire this year. If Democrats take the house in on November sixth, in the mid-term elections, the bubble may be re-inflated. They are pushing for gun control legislation (re-labeled as "gun safety") with a will. They believe they have created grass roots support for more gun control. Second Amendment supporters have made a serious difference in the past. It remains to be seen if they will turn out to support President Trump this year by voting for Republicans in the mid term elections.